As you've been probably seeing in the last couple of weeks, Actifit has been climbing to some huge new levels of activity, whereby we are getting more and more activity posts on a daily basis. We got more than 700 activity reports and rewarded around 500 posts in a single day! We are quite thrilled for this growth, and already eyeing the 1,000 daily actifit reports milestone! In order to better help out with the moderation of our reports, we are happy to onboard new moderators to our team, the purpose of whom is to help identify awesome content to even give it more reward (our scripts already do that, but a moderator review also adds more value), but also to keep abuse away, respond to inquiries, and help out with our constant actifit growth! We are also on the lookout for new ambassadors to join the team! Essentially we are looking for people committed to let the news out about Actifit to everyone in their community, to onboard news users! We've had new ambassadors join in last week, and we are looking for more. For all the extra competitive actifitters out there, we've had our mobile app leaderboard stuck at top 10 for a long while now. We decided to give it an additional edge, and allow you to land among the top 20 most active actifitters for the day. Our latest voting round(s) included 404 rewarded activity reports. Today's Random Double Up Reward went to @i2015park! This lead to doubling up the AFIT token rewards and the STEEM upvote value, but also to leading the list of top rewarded actifitters. Our recent joiners are: @hysteria73, @n1hal, @ralphy91, @pietro087, @tonyno, @dtripp, @thetechspot, @mussari, @freestyle7, @iamangierose, @heyimsnuffles and @tim13. Thank you for another prompt and detailed update. It's good to know that you are recruiting; this community keeps growing, and it's all well-deserved. Keep up the hard work. In terms of content, I am very pleased with your good work. Once again, you managed to create a rather informative blog post that includes valuable insights about your plans and moves. By the way, it is amazing that you have managed to gather approximately 400k SP from member delegations. Truly inspiring what a community can do. To sum up, this was another solid overall effort from you. Thank you for your contribution. Thank you for your review, @lordneroo! Keep up the good work! Great updates and thumbs up 👍 for the motivation as well as amazing work that actifit is doing. Most exciting of all, I am happy to see that our own mwanjo is excited with actifit and has top up his delagation to actifit. Congrats @i2015park for the lucky winning of double up rewarding! THANK U^^ so much! HAVE a nice time ... from SEOUL. You are most welcome, @blacklux! Well done @actifit extending to 20 the top most active actifitters: more competitors, more fun! 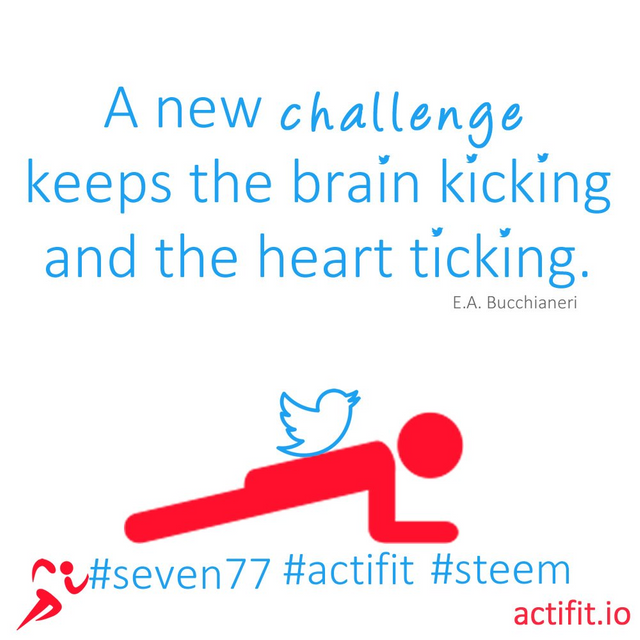 Let’s get fit with ActiFit! .....keep growing actifit my top favourite project. Yaaaay!!! I'm in the top 20 again!! It feels so good to be there, its very motivating! You made more than 66000 upvotes. Your next target is to reach 67000 upvotes.